This was my first Mary Kay Andrews book, so I was excited to check it out and see what all the fuss is about! The story follows divorced couple Annajane and Mason who have both moved on and appear to be happy in their respective relationships. Fate intervenes, and they slowly realize they might just have a second chance at a fairytale. It's sweet and fairly predictable, but it made a good Spring read. My only complaint is it was a bit lengthy for the story. I love a good memoir from a past Bachelorette! That franchise has me hook, line, and sinker for life, so I might as well own it and read the memoirs! 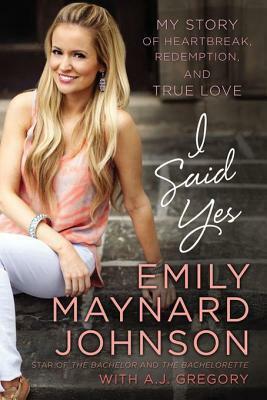 I've always loved Emily and was so excited when I won Ashley's giveaway for this book! Yall, I absolutely loved it! I read it in just a couple of days and was so sad when it was over. She is honest and raw about her journey losing her fiance and then having two failed relationships on national television before finding her now husband. She shares how her faith grew and strengthened through each trial and gives the glory to God for it all. It was such an uplifting read and I couldn't recommend it enough. That's recent reads for May! I read Bossypants and really liked it. I will have to check out those other two. 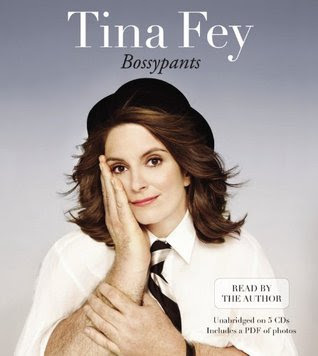 Bossypants is on my list, I love Tina Fey so I know I will enjoy her book. Bossypants and I Said Yes look like really good books! I'll have to read them sometime! I keep hearing such good things about Emily's book. Even though I'm not super familiar with her I'm tempted to read it! So glad you liked Emily's book. I thought it was amazing too. I've tried to read Mary Kay Andrews, but I just can't get in to her stuff. Hope you have an awesome weekend! I really loved Bossypants! Glad you did too!